I need a bezel for an Amphibia Antimagnetic. The owner is not particular about the pattern of the bezel, so long as it fits. And given that the watch is quite worn, an old one would probably look better than a new one. Attached is a pic from before the bezel was lost. I am still looking for a jewel for a Poljot Signal. 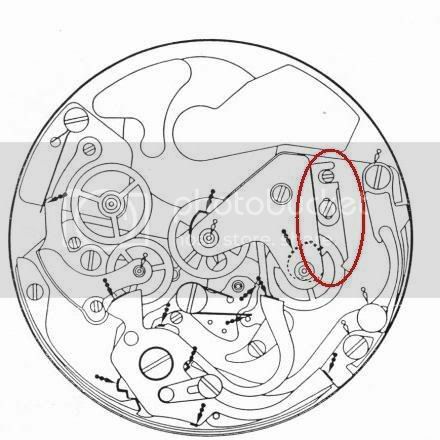 The missing jewel is found on the back of the watch and located in the middle. The watch looks like this one. If there are any jewels that are interchangeable with this one found in any other movements that would be fine as well. Thanks to ussrwatches.info for having the pictures. I can be reached at the e-mail address on my profile. I hope I did everything right with this post. This is a great site and huge resource. Last edited by fuz74; January 3rd, 2008 at 04:33.
you think there's a seconds hand for my sekonda movement 2609.ha that looks like this? I need a stainless steel chapter/bezel ring crown. I also need a minute-recording jumper spring. any help would be appreciated! 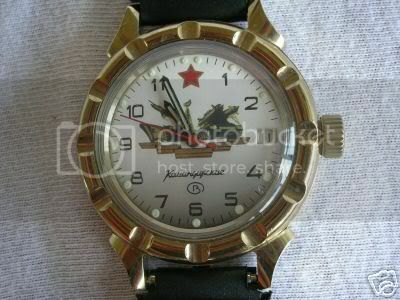 I'm looking for a minute hand for my vintage Poljot strela chronograph. Cause I need to replace one. and to do so I am going to need part number 8335. There is an exploded diagram of the brute under the heading "3017 problem" (Thanks Marc!). If anybody has one, I would be very glad to acquire it. Thanks. I need a bezel for Vostok Amphibia black diver, cause somehow I lost mine today. Please please any help would be greatly appreciated, I am also willing to trade an ash tray cased auto sea hunter for a Entire donor manual wind/date movemnt /donor watch. 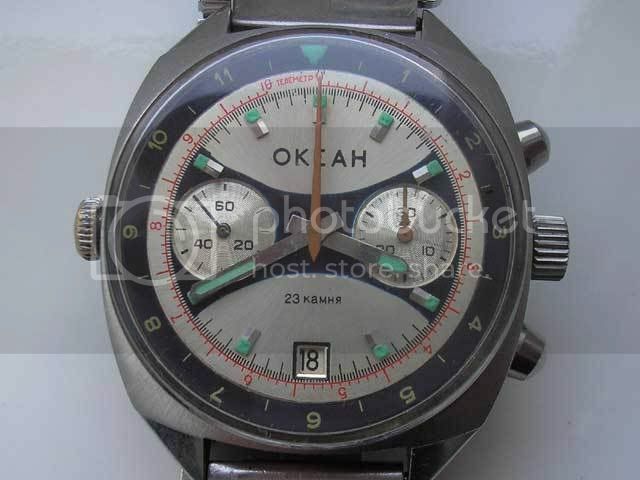 I am in need of the hour, minutes and chrono hands for a vintage OKEAH.